The decisive point during the entire project was the question of how my position as a young designer relates to the actual livelihood and educational issues of children living in a slum. What might be my humble contribution towards resolving any of the connected issues? For instance, in their kitchens they mainly posess low-value plastic dishes. This fact inspired me to develop vessels made from different materials to achieve diversity and combinability. From experiments with the children of my team a couple of bowls emerged that shared the same attributes: they were made from clay and had woven parts attached to them. This approach remained at the heart of the project. 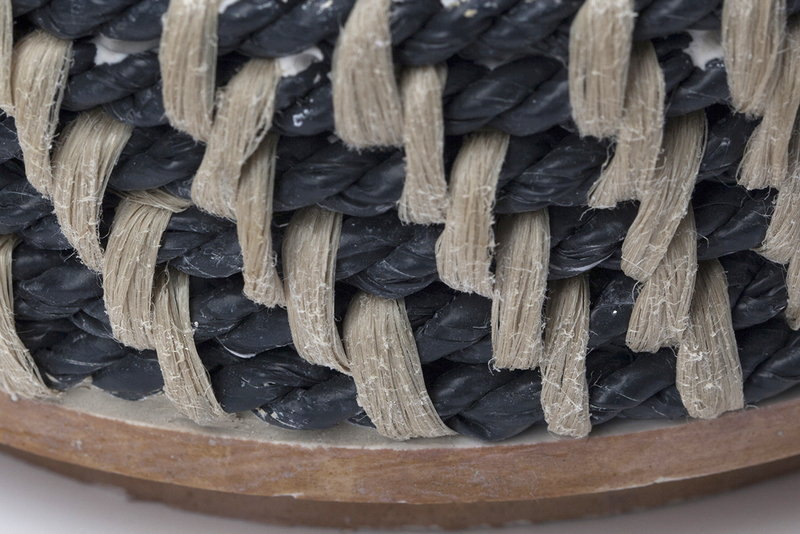 The fusion of clay and woven elements is interesting in itself, especially because the objects lose some of their ceramic immanent functionality and become more decorative, their potential usage decreases with the impossibility of washing them. 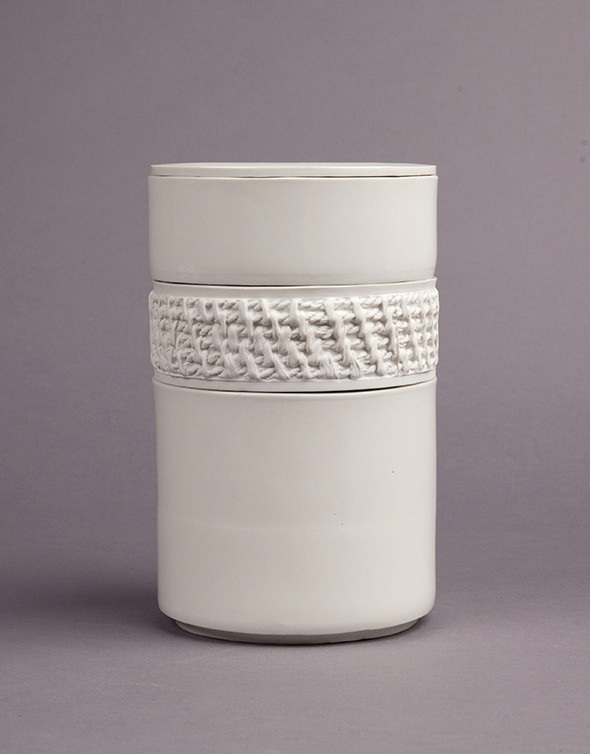 Thus my design goal became to create bowls or containers that embrace the decorative element yet do not lose their functionality as ceramic objects. 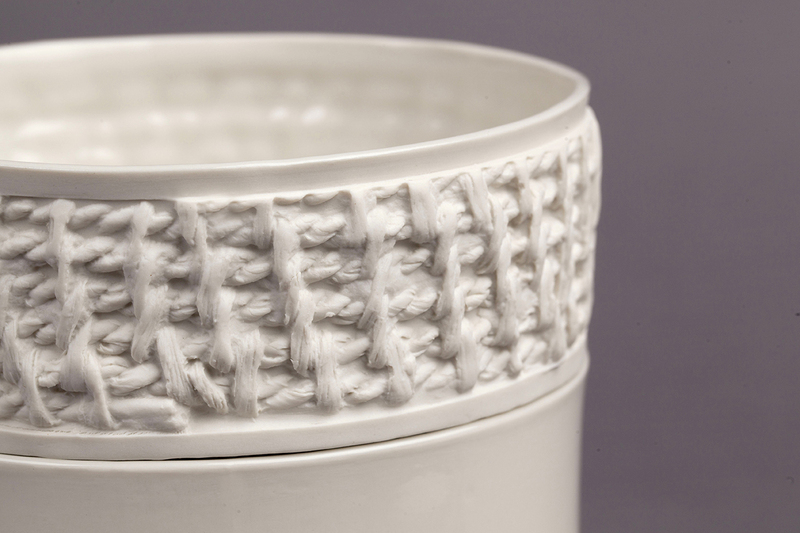 Aesthetically, I chose to separate the materials, or the appearance thereof, and create stackable vessels of either plain or woven structure, which offers a visual and tactile association and differentiation of any single part of the set. The formal aesthetic and symbolism of the woven structure quotes the common purpose of woven baskets and bowls of serving as objects of storage. 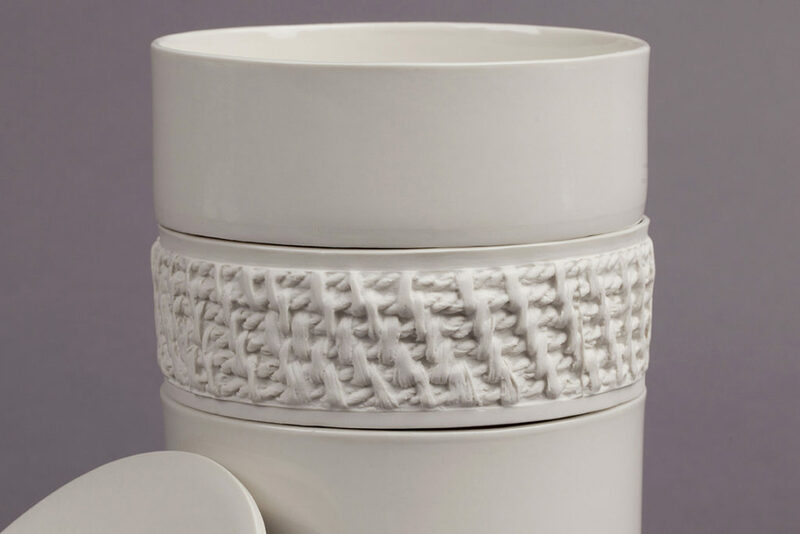 To guarantee the full functionality of ceramic vessels the woven structure is transferred as an imprint into porcelain, thus only referring to its original purpose as a surface texture. 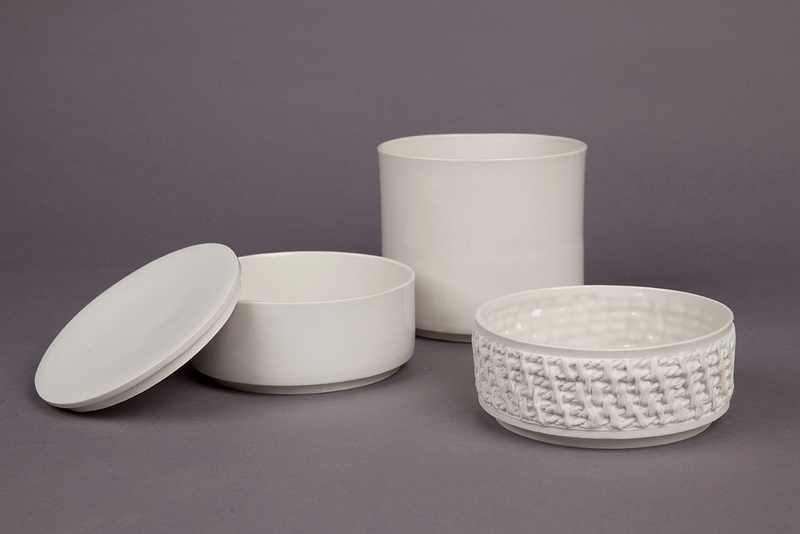 One container set consists of three porcelain bowls with lids. The bowls can be stacked in any order, used separately or as a tower, while each bowl also functions as lid. 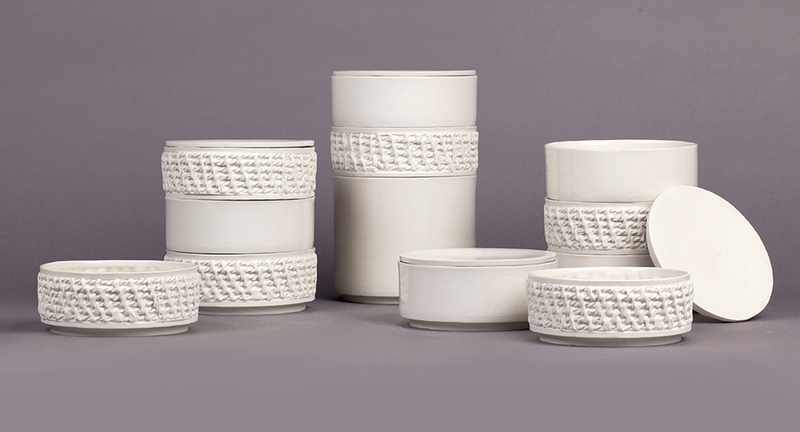 Two bowls are of the same height but have different textures – smooth or woven structure. One bowl is smooth and higher. The containers will be available in different colors. 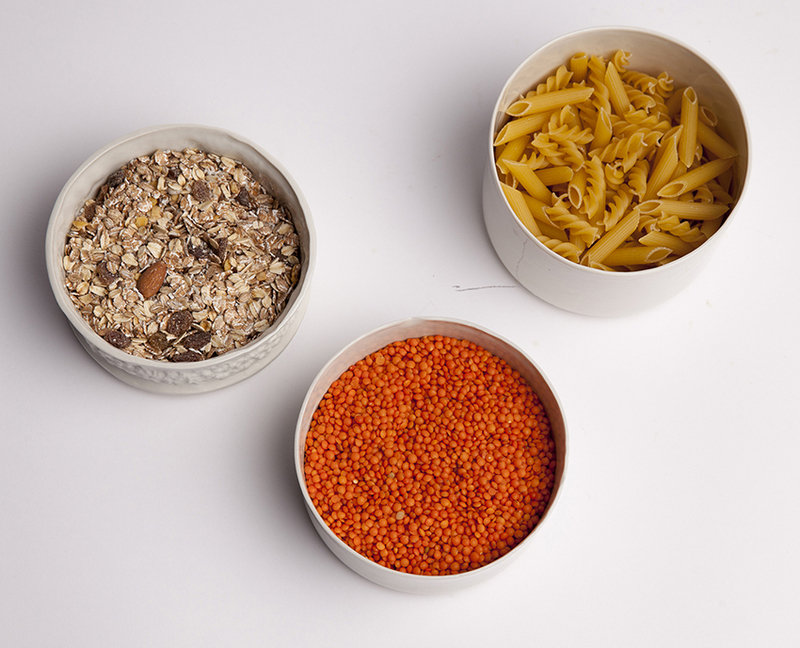 Functionally the containers can be used both at room temperature or to store something in the fridge. 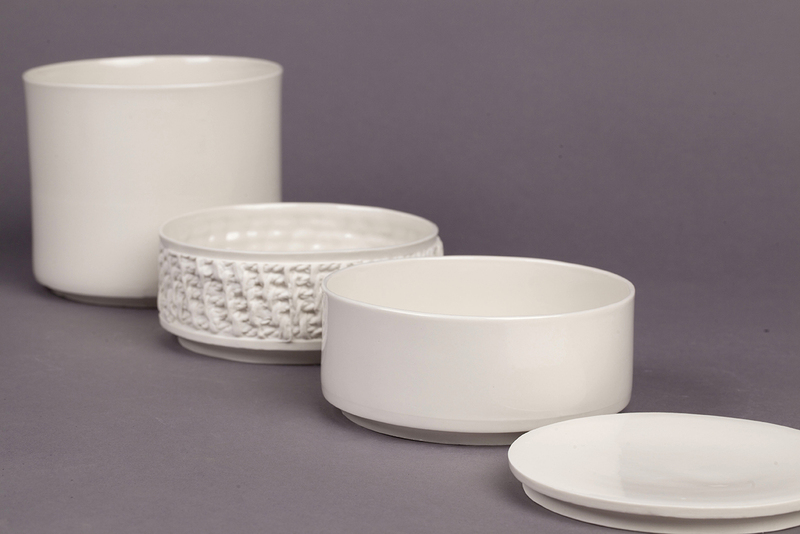 They can also be used to serve food on the table since the porcelain retains warmth.